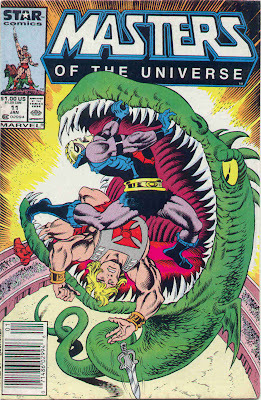 Masters of the Universe #11, “Whose Enemy Am I Anyway?” is by Caragonne, Wilson, and Bulanadi. 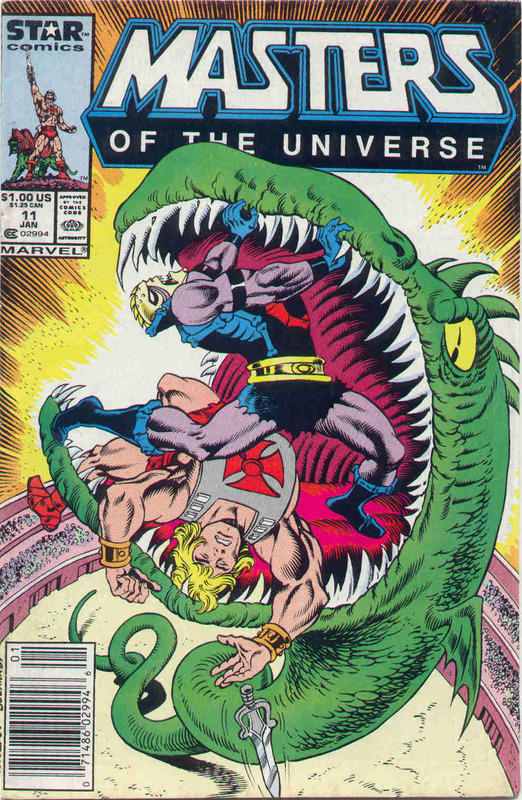 Here, He-Man and Hordak lose their memories, then team up. Now featuring characters from the She-Ra cartoon! Are we sure Mike Carlin didn’t sneak back in to write the first few pages of this issue? Hordak has an absurdly vast invasion force – which is easily thwarted by bumbling jive-talking caricatures of heroes. Solid work again from the regular art team, although on page 20 it kind of looks like Man-At-Arms might have landed his ship right on top of some people. And between the beginning of the issue and the end, letterer Jack Morelli forgot that “Grayskull” is spelled with an a. This one’s the weakest of Caragonne’s contributions to the comic, but it does more good than bad (if barely).